The original RAV4 played a significant part in changing the motoring landscape, arguably kickstarting the switch from ordinary hatchbacks to high-riding SUVs. The 1994 model embraced the ‘Sport’ from Sport Utility Vehicle, marrying funky style with an off-road ability that made it the perfect car for a group of friends to head to beach in, go surfing, and then fire up a barbecue as the sun sets. That only happens in TV shows though, so each subsequent RAV4 got ever more sensible and ever more indistinct. As everybody else made a family-friendly SUV, the RAV4 got lost in the melee. Toyota’s top boss, Akio Toyoda, wants to fix that. He’s declared that there’ll never be a boring Toyota again, and has let the designers loose with their crayons. The result is this rather bold new RAV4, ready to remind you that Toyota is great again. 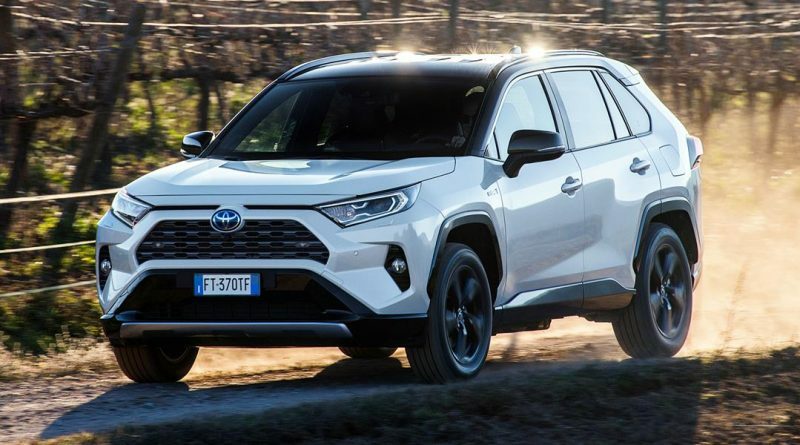 A bluff, angry front end, squared off wheel arches clad in black plastic, the (optional) two-tone paint job, and sharp creases an bulges around the body mark the RAV4 out as something distinct from its rivals. Also standing out from its rivals is the engine line up. Where most rivals favour diesel, with a smattering of petrol engines, the Toyota RAV4 is petrol-hybrid only. 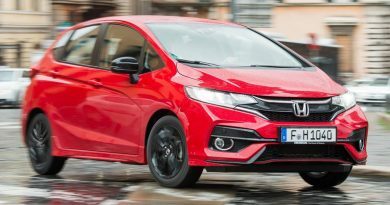 That means the four-wheel drive models have a 2.5-litre petrol engine under the bonnet, some batteries under the seats, and two electric motors – one for the front wheels, one for the rear. This gives the car an off-road ability that most owners won’t get near. Steep, scrabbly climbs were dealt with easily during testing, and the worryingly slippery mud-filled descent ultimately went without a hitch. Most of my time was spent in the front-wheel drive model. This foregoes the electric motor in the rear, but retains all the other hybrid goodies. The result is impressive, diesel-rivalling economy that was north of 40mpg during our testing, and officially reaches 49.2mpg. It’s not quite as sprightly as the twin-motor model, but the 215bhp available is enough to drag itself to 62mpg in a reasonable 8.4 seconds. All the power goes through a CVT gearbox. Continuously variable, there’s no ‘proper’ gears which makes for a very efficient drivetrain, and a near silent driving experience once up to speed. The downside is the raucous engine note that drones through the cabin when accelerating hard, but it’s a small price to pay for something to smooth and economical. It’s as smooth inside, with a cabin that’s noticeably better than Toyota’s usual standard – a good sign for future models. It’s not the most exciting design in the front, but the material quality is top-notch, and there are some neat design touches that really lift the interior. The large rotary knobs for temperature controls are wrapped in a tyre-tread-like rubber, offering a really tactile sensation, and the same rubber is found across other touchpoints inside the car. The large infotainment screen is integrated well although, as is common across the range, it’s a bit rubbish. You’d be better off plugging in a phone and using Android Auto or Apple CarPlay but, inexplicably, neither is available, even as an option. There’s lots of room for everyone, including those in the rear. It’s a little dark in the back, but there’s no shortage of space, and the boot matches that by accommodating 580 litres of luggage with the seats up and the parcel shelf in place; that’s more than you’ll find in the huge Volvo V90. Take to the road and it’s a pleasingly compliant car. It deals with imperfections reasonably well, the supple suspension masking most issues, but smaller cracks and surface changes somehow make themselves felt. Enthusiastic driving isn’t rewarded with anything approaching entertainment, but it holds the road tenaciously and is easy enough to place accurately. It’s still a heavy SUV, but you won’t feel like it’s anything less than competent and controllable at all times. The only significant spanner in the works is the list price. This particular model will set you back more than £34,000, and you can find a larger and equally sophisticated Skoda Kodiaq for less money. The Honda CR-V in its hybrid form is a little smoother, more comfortable, and marginally cheaper, but isn’t quite as practical. 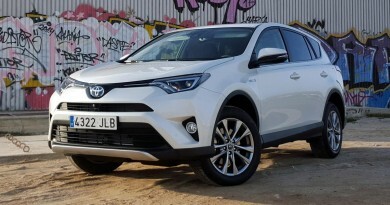 However, Toyota’s aggressive finance arm and some strong residual values, means you can find yourself driving a new RAV4 for around £300 a month. That makes it a rather compelling, if niche, proposition.